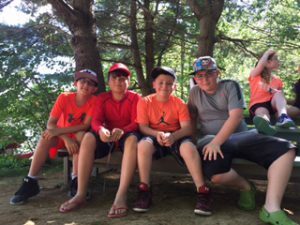 We have been having so much fun with the chanichim at camp. 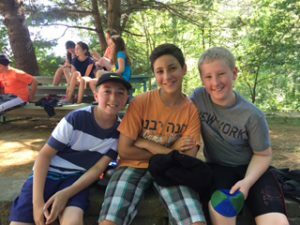 We jumped straight into a typical day at Yavneh on Thursday and everyone seems to be adjusting very well to the Yavneh life! 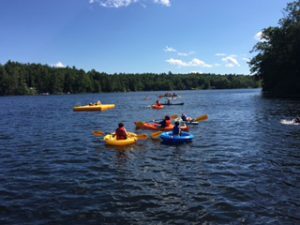 Each chanich has been able to choose a chug (elective), have instructional swim, and kitah (class) in the morning and bunk activities in the afternoon. Evenings are filled with all kinds of fun activities. Our first Shabbat together was really great. The chanichim were excited to join with the ruach (spirit) during Shabbat at Yavneh. Everyone was very excited to enter the chadar ochel (dining hall) for a nice dinner of chicken soup, challah, and other fun Shabbat f oods. After dinner, everyone went into the Ben Zvi (one of our prayer spaces) to sing Shabbat zemirot (songs). After a rainstorm that lasted most of Friday night, we woke up to a beautiful Shabbat morning and attended tefillah (prayers) and breakfast. The chanichim were ecstatic to have sugar cereal, oreo yogurt, and coffee cake that they only geton Shabbat morning. The entire camp came together for a Mussaf filled with a lot of singing. Afterwards the chanichim were thrilled to have a few hours of free time to do whatever they wanted. 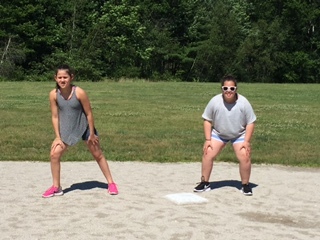 Some chanichim played sports while others swam and some just hung out with their friends. Everyone had a great time! We are excited for a new week. We have amazing (evening activities) planned for this week and we are excited to go to Water Country on Wednesday!